Many of you might be excited for the upcoming Indian 3D sci-fi thriller "Mr X", directed by Vikram Bhatt which is set to launch this Friday. The movie is based upon how our protagonist Emraan Hashmi , a fearless cop who becomes invisible through a chemical reaction from a medicine and how he uses this sudden power of invisibility to take the law in his hands and punish the wrong doers. This movie is released both in 2D and 3D. But watching it in 3D is promising as the movie has a lot of visual effects . After learning to be invisible in the movie, Emraan along with Amyra now wants to learn all about making Mr. X poster invisible using optical illusion. Yes, Emraan Hashmi and Amyra Dastur visited the "Mad Stuff with Rob" as part of their movie promotion. Rob did not disappoint the actors visiting his studio. He made sure that they did have fun with paper and scissors. From cutting to pasting, the journey of the creative poster takes shape. Of course, the viewers had the treat of watching the silver screen actors doing DIY stuff which encourages the kids to bring invisibility onto the paper. Below is the video on how Mr.X transforms from being visible to invisible. Rob teaches you an X-cellent optical illusion that you can try out at home using some very basic materials and the result is just fantastic. Step 1- Download , print and cut the outline of the two Mr.X images. You can download the images for Mr.X Visible and Mr.X Invisible by clicking on the respective links. 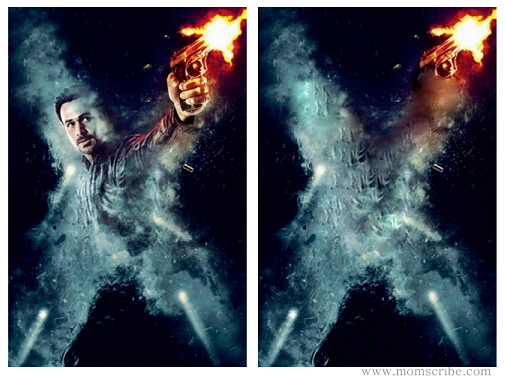 The latter image was made to look invisible using Picasa. Step 2- Cut the two images into equal strips. 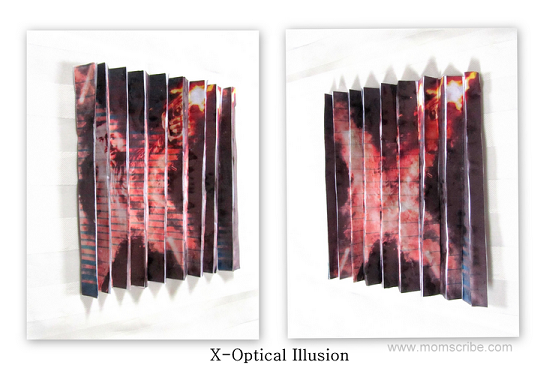 As it was a quick DIY craft to try Mr.X optical illusion poster at home, I just fan folded the poster into equal strips and used scissors to cut out instead of measuring or naming the strips as 1,2,3 and A,B,C. 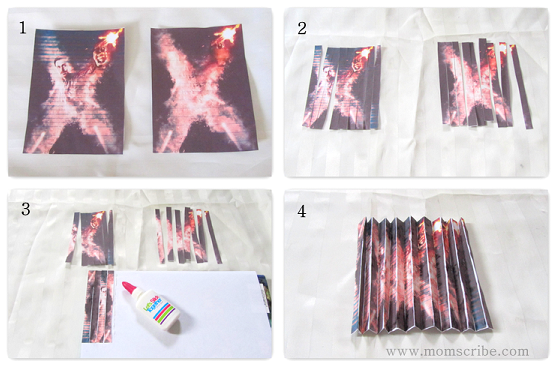 Step 3- Paste the strips alternatively one by one on a sheet of paper. Step 4- Now,fold it into a fan shape wherein one side of the image makes Mr.X Emraan face to appear and the other part he is magically invisible. Children and of course interested adults can now create their own Mr.X Optical Illusion Poster in their home. For more such interesting and fun-filled DIY crafts from Rob, you can subscribe to his channel "Mad Stuff with Rob" on YouTube. If you have made yourself one such poster, do share it in Facebook or twitter using hashtag #MrX. Such a intelligent idea! M sure kids love it! Great lesson for tonight, I think to create this illusion with children after they write their school essays. This entertainment will be an additional motivation for them. Thank you for your guide!